The German WBO and WBA champion in light heavyweight on German boxing culture, his flawless record of 21 wins, and fighting in the world’s big arenas. There are regions in the world that seem to have a natural affiliation with boxing. Of course, all of these regions are also afiliated with the National sport of whatever country they are located in. But in some parts of the world, boxing plays a bigger role than football, tennis and the likes. The small Caribbean island of Cuba is such a region. Once Fidel Castro took power in 1959, the boxing sport has seen a massive boost. Like all socialist countries, Cuba used athletic success to claim the superiority of socialism over capitalism. medals. An impressive success for the small island of 11 million people that was facing stiff competition from countries like Russia, China, and the United States. A second region with a long-lasting affiliation to boxing is Eastern Germany. Similar to Cuba, the region has seen massive investment into the boxing sport by the former socialist regime. And 26 years after Germany’s reunification in 1989 the unimposing part of Germany still brings about some of the best boxers of the world. Athletes like WBA world champion Henry Maske, IBF and WBA world champion Sven Ottke, as well as WBC world champion Markus Beyer all come from towns and cities no more than 2 hours away from Berlin. boxing is the Dominic Bösel. A professional since 2010, Dominic comes with a flawless record of 21 professional fights — and 21 wins. Not only is his professional record impressive, Dominic also holds the current title of the WBO Intercontinental champion. 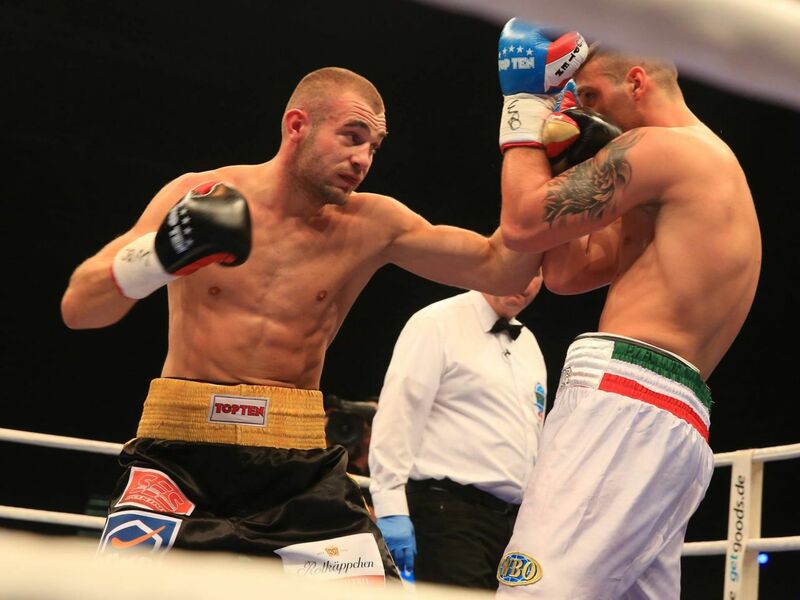 In a fight against Hungarian Balazs Kelemen in Janaury 2016, Bösel was also able to add the WBA-Continental title to his growing number of trophies. 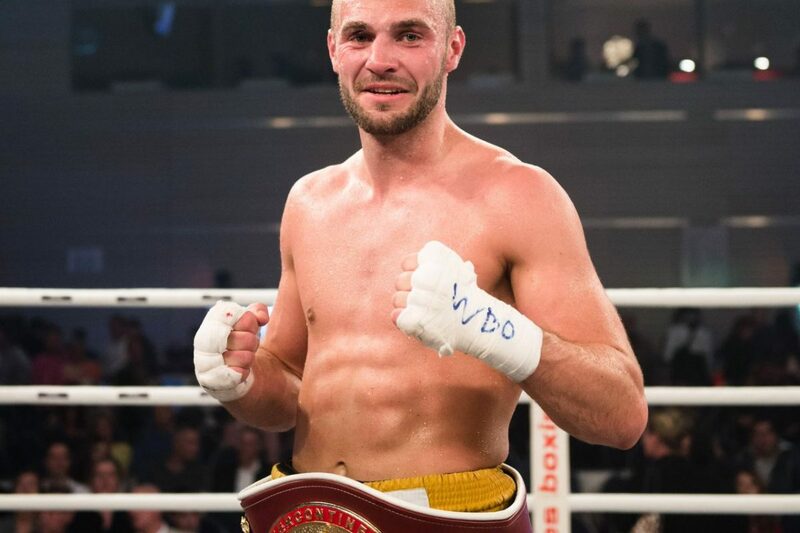 We spoke to the WBO’s number one ranking athlete in the light heavyweight division about Eastern Germany’s boxing culture, facing defeat, and his dream of fighting in the big arenas of New York City and Las Vegas. Domnik Bösel during weighing before a fight. At a height of 1.85m (6'1") Bösel weighs in at the allowed maximum of 79,3 kg (175 lbs). Q | You are from the state of Saxony-Anhalt, one of Germany’s highest ranking regions in regard to boxing. How do you explain the region’s passion for boxing? Is it the heritage of the former German Democratic Republic’s dote on boxing or just a local phenomenon? Dominic Bösel: Recent history is definitely one of the reasons why boxing in Mitteldeutschland has always been so popular. We have a long and successful boxing tradition that definitely draws from the past. In my case it was my father who brought me to boxing. He was a coach with the local boxing club in my hometown of Freyburg/Unstrut. That’s how I got into boxing. Later on, I would continue my amateur career at the Olympic Training Center in Halle [capital of Saxony-Anhalt, ed. ], prior to signing with SES Boxing in nearby Magdeburg. My current promoter has established the most successful promotion company in the whole of Eastern Germany. We are continuously moving things forward; making a name for ourselves internationally. It is the same with my career that I owe to the great boxing fans in the region – I’m blessed with the immense support of local boxing fans. Q | Your current record is absolutely flawless: With 21 victories in 21 fights, 10 of then in unanimous decisions, you are unbeaten to this day. How would you deal with a first defeat? This is something that does not concern me at all right now. Nonetheless, being number one in the in WBO ranking losing a fight is definitely something that may happen at some point. However, I go into a fight in order to win, to defend my titles. So if it does happen, I will be able to handle it and make up for any setbacks with more victories. Breaching through the guard: Bösel during the WBO junior world championship. Q | How do you prepare for a fight? Are you a proponent of lengthy video analysis or will you rather focus on yourself? Right now I am focusing on my upcoming fight on April 30, 2016 against Dennis Liebau. This is one is a real “tough nut,” unbeaten like myself, with 95% of his victories by knockout on top of that. But even such a “‘K.O. king” has his weaknesses, and I am going to uncover them. Of course, video analysis plays an important role in that. More importantly, in any case, is focusing on my own strength and powers! Q | You are currently holding the WBO-Intercontinental title as well as the WBA-Continental title. The other two councils of WBC and IBF do not rank you yet. What is your strategy in order to get the ball rolling with the other two councils? That is something I am really after right now. The WBA title that I gained from my last fight [against Balazs Kerlemen, ed.] already got me into the WBA Top 10. My Promoter Ulf Steinforth and my coach Dirk Dzemski are working hard to arrange future fights that will bring me into the WBC and the IBF as well. The most important thing to me right now is defeating my next opponent. For the mid-future we are also looking to fulfill my dream of eventually earning a world title. – I am highly optimistic to reach that goal. Q | At 26-year-old, you are still relatively young for a professional. What are your plans for the future? If you could choose one location where you could fight for a title – which would it be? Naturally, I have dreams about fighting for titles in the big arenas of the world: New York City, Las Vegas, London and Berlin here in Germany. A special location for me would be having an event on Neuenburg Castle in my hometown of Freyburg. This is something I have dreamed about from a young age on, and it would fit in well to my heritage and career in boxing! 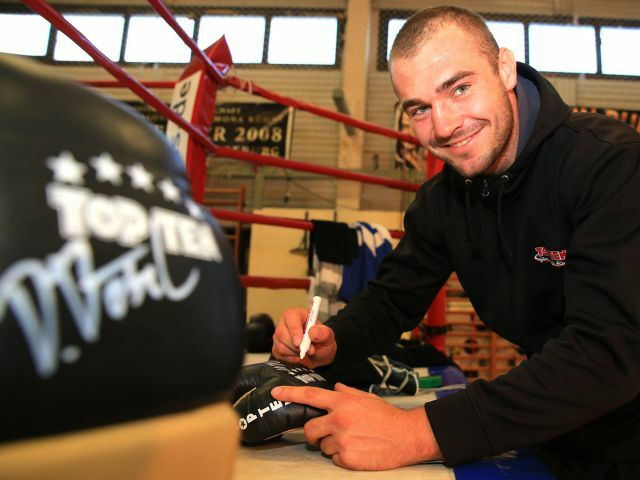 A native of Saxony-Anhalt, Germany Dominic became a professional boxer in 2010. With 21 victories in 21 fights Dominic remains undefeated. He will defend his WBO-Intercontinental-title on April 30, 2016. Read Next: Go Take Boxing Classes!